Katrina Thomas. Coastal Summons. Las Vegas, NV: Montlake Romance, 2013. Laina Danvers and Ian Hamilton grew up together, not quite family but almost. Laina’s father was the foster child of Ian’s grandparents, and when he died Ian’s grandparents took her in and raised her. But the car accident that killed Laina’s father also killed Ian’s father and uncle. Beatrice Hamilton made peace with that tragic accident but her grandsons never did. They took their anger out on Laina because her father had been behind the wheel. Even now, as adults, they are cold and cutting toward her. Ian Hamilton was the exception among the Hamilton boys, and he is the person who Laina turns to for help when she notices that Beatrice (Gram) is beginning to fail. The family is scattered and each sibling has adult responsibilities: Ian is an assistant district attorney in Richmond; Elliott is a partner in a large insurance company; Cal is a financial adviser; and cousin Palmer moved to California is escape his overprotective mother. Laina is busy too as the president of an international trading company and the foster mother of a seven-year old girl. But just as Gram was always there for her when she was a child, Laina will help Gram now. When Laina has visited Gram in Arlington, Virginia she’s noticed that the older woman has become frail and is forgetting things, but it is Gram’s annual move to the beach house on Hatteras Island that precipitates a crisis. The house needs a lot of work, and Gram shouldn’t be there alone. Laina can see what needs to be done, but the Hamilton men will not accept her advice on anything. When the family gathers at the beach house on the Fourth of July weekend a stray box of letters reveals something about their shared past that upends the Hamilton family story and allows Ian and Laina to acknowledge feelings that his brothers’ hositility toward Laina forced them to hide. Katrina Thomas. Island Sojourn. Las Vegas, NV: Montlake Romance, 2012. Delaney Sutton used to love her job. A professional firefighter living in Richmond, Virginia, she has been passionately dedicated to saving lives for years. Now, at twenty-six, she’s reached a crossroads. 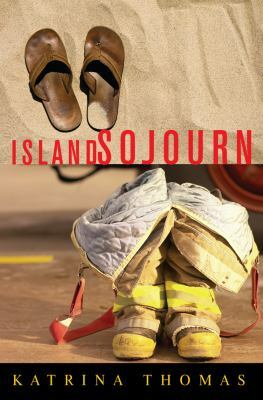 Firefighting has always been her dream, but with the death of her friend and co-worker, Hal, in a fire that also injured her severely, Delaney is unsure and worn out. Her chief decides she needs a forced vacation at the same time that her sisters are planning their annual Sisterhood Sojourn to North Carolina’s Outer Banks. Delaney gives in and goes with them. Her four weeks in Avon on Hatteras Island are supposed to be relaxing. Unfortunately, her three sisters have other ideas about what she needs– well, one idea. A man. Luckily for them, Gareth Collins arrives almost within a day of the four women, and the Sutton sisters waste no time in hounding their youngest about how cute he is. Delaney has to agree, but she just doesn’t know if she wants a relationship right now. She hasn’t been able to sleep properly since Hal’s death, about which she keeps having post-traumatic flashbacks. Gareth realizes something isn’t entirely right with the pretty youngest Sutton sister, so he tries to take it slow, encouraging her to open up to him a little at a time. Is love really the medicine Delaney needs? Katrina Thomas. Love at Morley Cove. New York, NY: Avalon Books, 2011. The Hills, or at least the Outer Banks, are alive in this romantic tale of a young librarian who takes a temporary position as a nanny in a wealthy resort owner’s home. Reine Jonson has never been rich, but lately she’s struggling more than usual. Her ancient car needs repairs, and she’s trying to save up to begin a graduate program in the fall, so when Stephen Morley offers to hire her, she’s glad to have the money. What she doesn’t count on is Stephen. Mr. Morley never smiles. He doesn’t joke or laugh, either, making him an awkward surrogate parent for his late brother and sister-in-law’s three children. Each one is a rambunctious troublemaker under the age of ten: there are snakes on the tea trays, sticky fingers on the tablecloths, and small voices often raised in piercing childish mirth. Grieving, busy Mr. Morley is vexed to discover that none of the nannies he hires wish to stay for more than a week. Reine arrives on his porch just as the latest in a long line of au pairs is making her dramatic exit, and the children take to the reserved, understanding librarian immediately. Despite her misgivings about his demeanor, Reine is more than a little moved by the handsome Stephen’s dark eyes–but what, if anything, does he feel for her behind his grim mask? 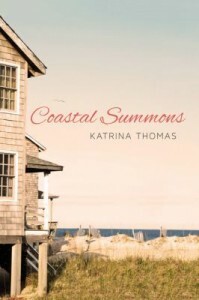 There are few places more beautiful than the sea-swept shores of North Carolina, and readers will find themselves transported there by the description of the scenery as well as Reine and Stephen’s breathless romance. For an even better experience, slip this book into your beach tote and take it with you on your sandy, salty vacation!